This is a sponsored conversation about How to Make an Incredibly Simple DIY Cat Puzzle Toy written by me on behalf of The J.M. Smucker Company. The opinions and text are all mine. When you cook for your family, I bet you check each product to see if it’s made of high-quality ingredients. Your pet food should be no different. It is time to serve your cat with real chicken flavor, that is perfect for your feline-foodie. 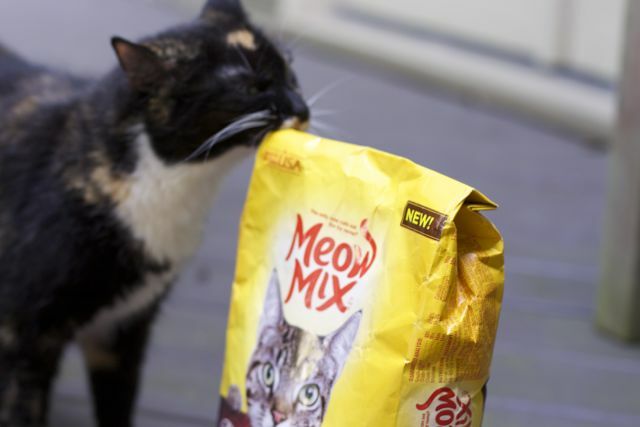 Cat’s can be finicky when it comes to food, Meow Mix Bistro recipes offer your cat bistro flavor featuring tasty ingredients baked into the crunchy kibble. Treat your cat to a five-star dining experience in your home, without cooking a thing. Cats are very curious and like dogs, like to be challenged when playing. 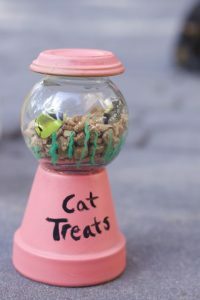 My dog has a ball we fill with her food to make her eat slower, why not make something for our cat. 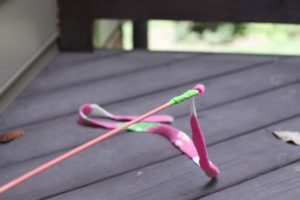 Lacy loves food and I thought I would create a fun DIY Cat Food Puzzle Toy to make her work for her food and get a little exercise too. 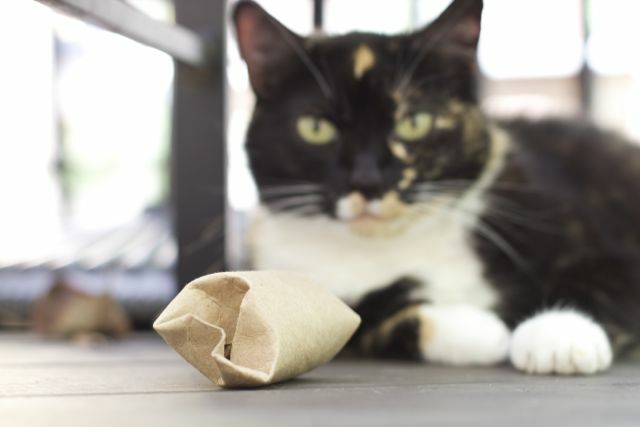 You already have everything you need at home for this Cat Toy so it won’t cost you a thing. 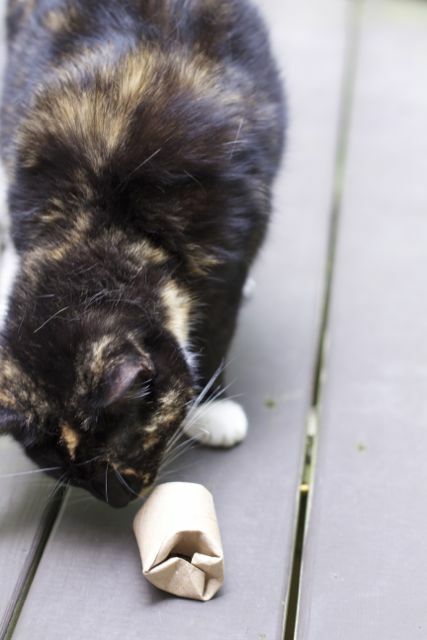 Told you Cat Puzzle Toy is Incredibly Simple and Inexpensive. 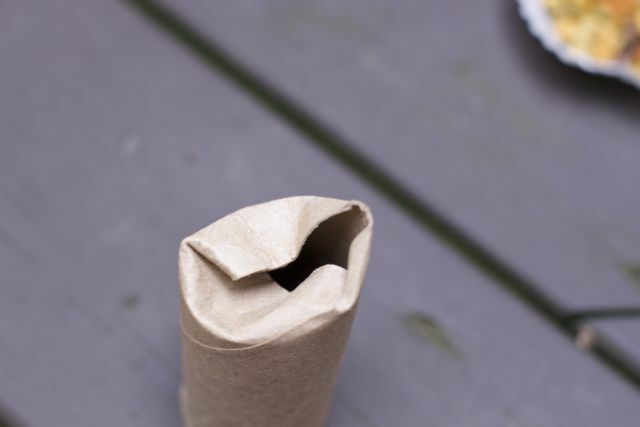 Simply fold one edge of the toilet paper roll into itself. 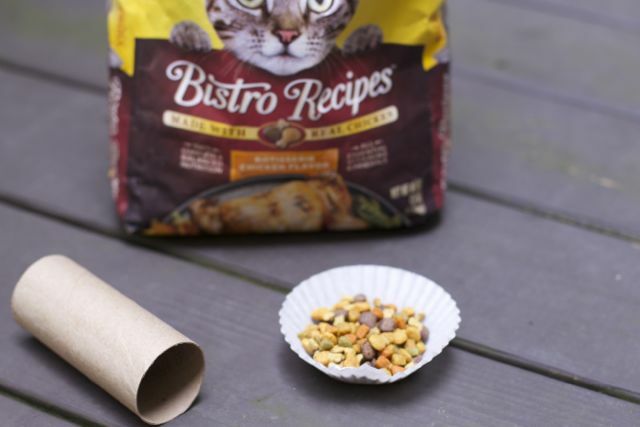 Fill the roll with some Meow Mix Bistro cat food. Fold over the open end to close the container. Don’t worry if there are spaces, the cat will swat at it to get their food. 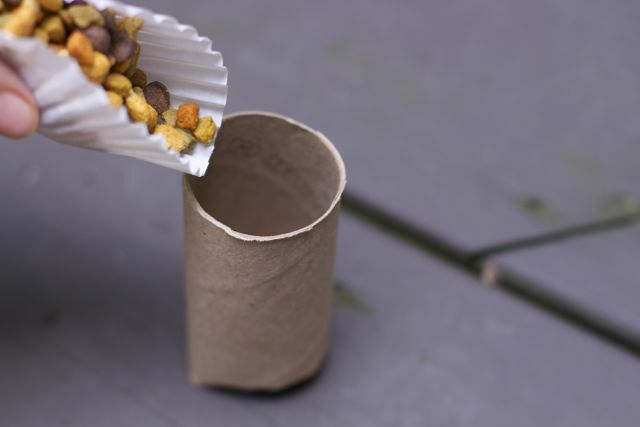 Now watch while your cat enjoys swatting the roll to get their food out. Your feline foodie will be forever grateful for the switch and have fun eating her New Meow Mix Bistro formula out of her DIY Cat Puzzle Toy! 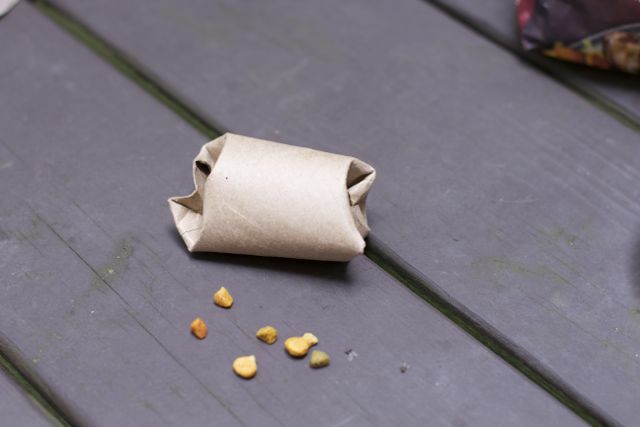 Make your favorite cat one of these easy DIY Cat Treat Holders in under 30 minutes. This is so creative and so cute. I want to try this for my cat! Oh, I love this! And this, even I can make. My kitty’s gonna love it! Thank you.